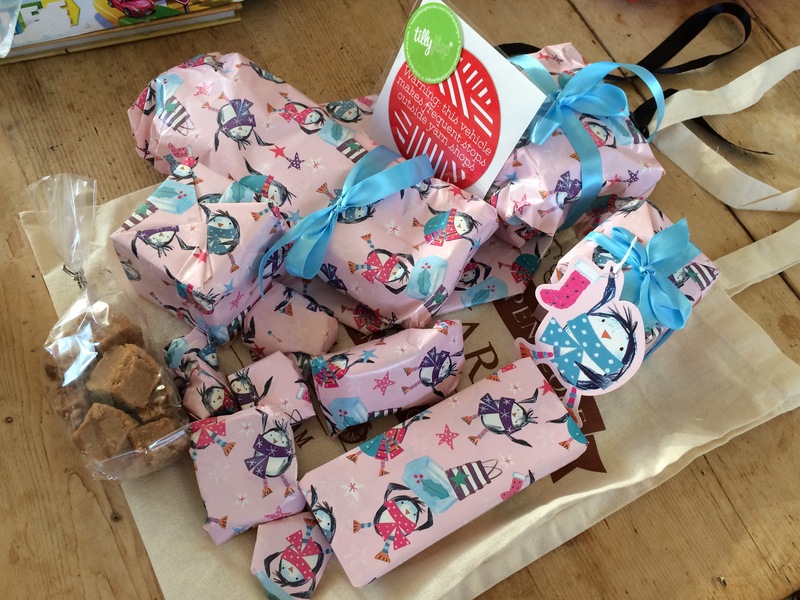 Everyone loves a Secret Santa, don’t they? Apparently so, because 45 lovely ladies (and a man!) signed up for #stitchingsanta 2016, a themed Secret Santa for fabric and yarn lovers who blog or Instagram. 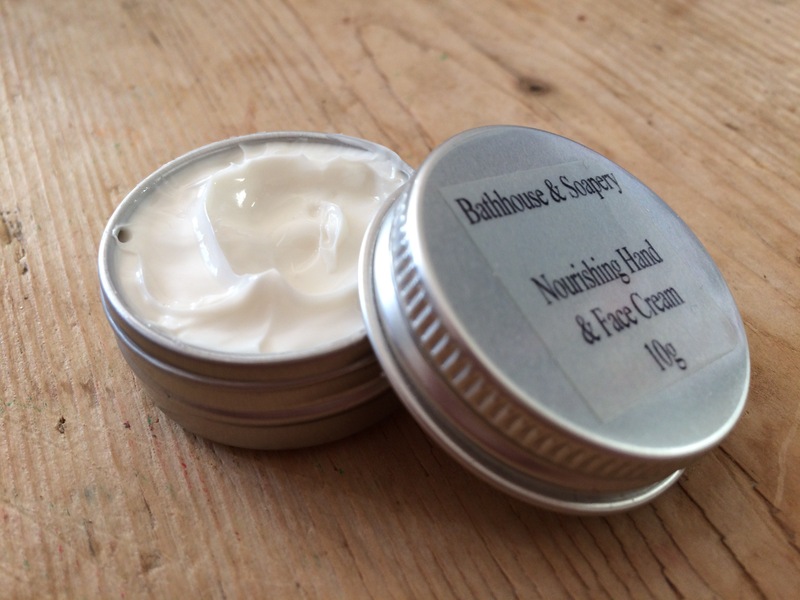 To read all about it and to join in next year, have a look at this post. 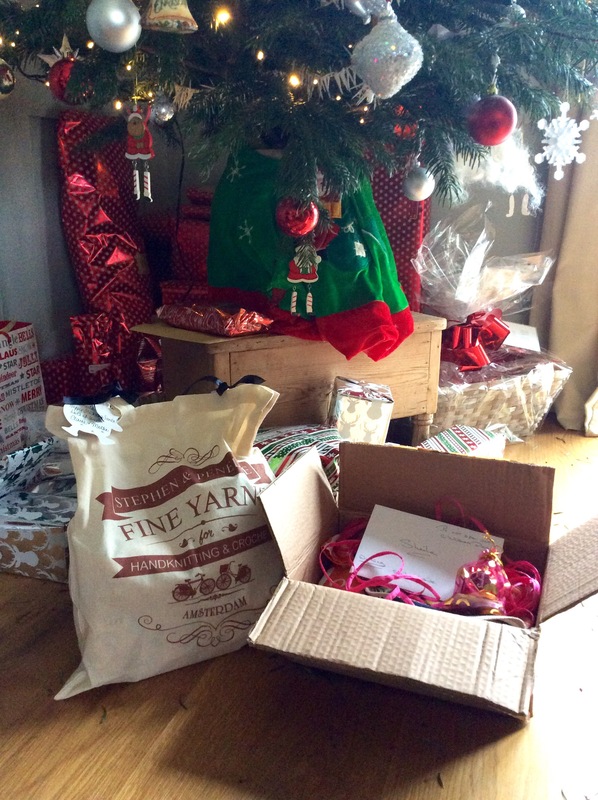 I participated in both the sewing swap and the knitting/crochet swap, so was treated to two parcels under my tree in time for Christmas Day – although I didn’t actually find a quiet moment to myself in which to savour their opening until the 28th December! I had a lovely pub lunch in Wells the week before Christmas with Claire who, together with regular input from her lovely black labrador, blogs at Mollie & Claire. 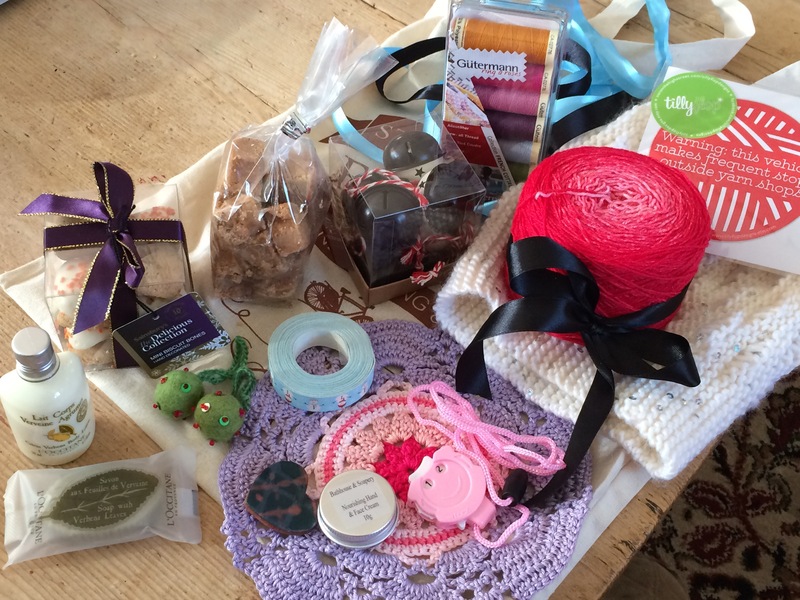 Claire had drawn me as the lucky recipient of her knitting/crochet parcel – and Boy, was I treated! 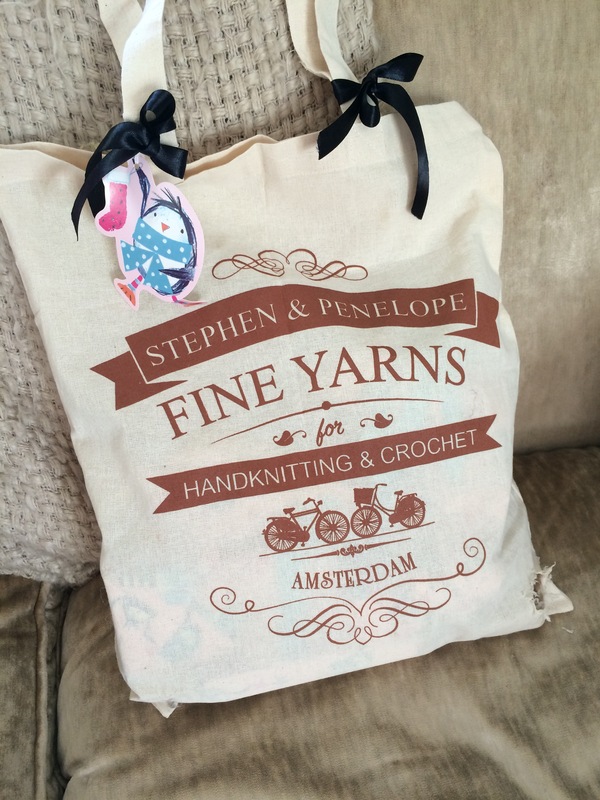 We have even both been to Stephen and Penelope’s in Amsterdam – highly recommended to anyone who visits this wonderful city. 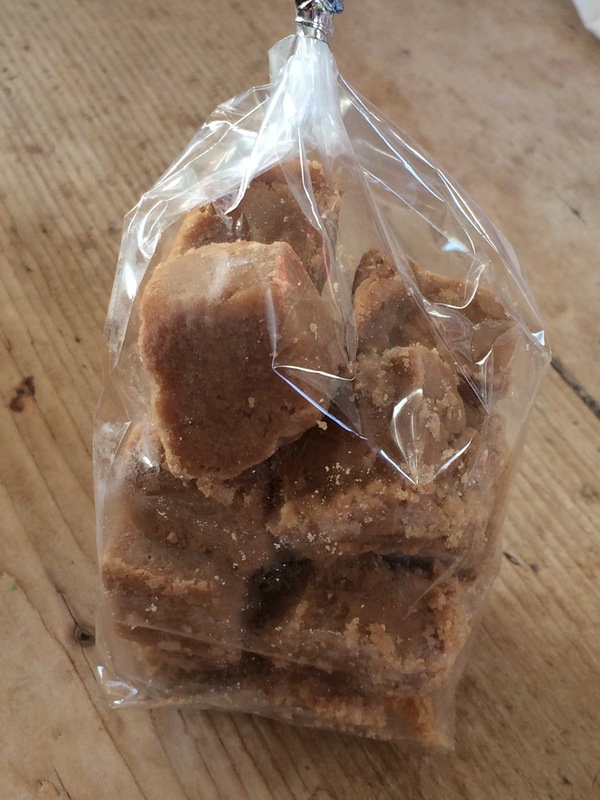 This project bag contained all my goodies and sat under the tree for about ten days……..
….and helped itself to the tasty fudge within!! Just look at this mountain of presents! 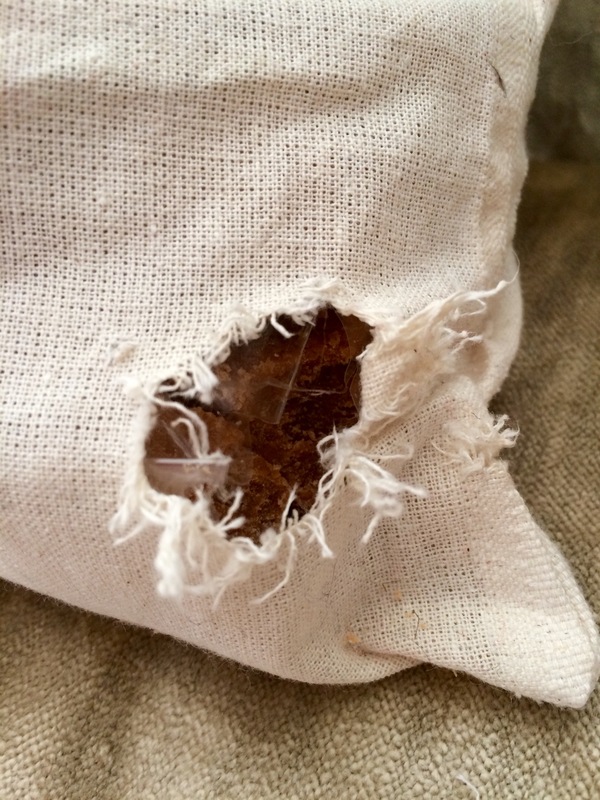 I must admit that I went straight for the one that looked like it might contain the hand dyed yarn that Claire had not-so-subtly hinted at previously. Dyed with her own fair hands, Claire had even caked the skein for me so it is ready for use. 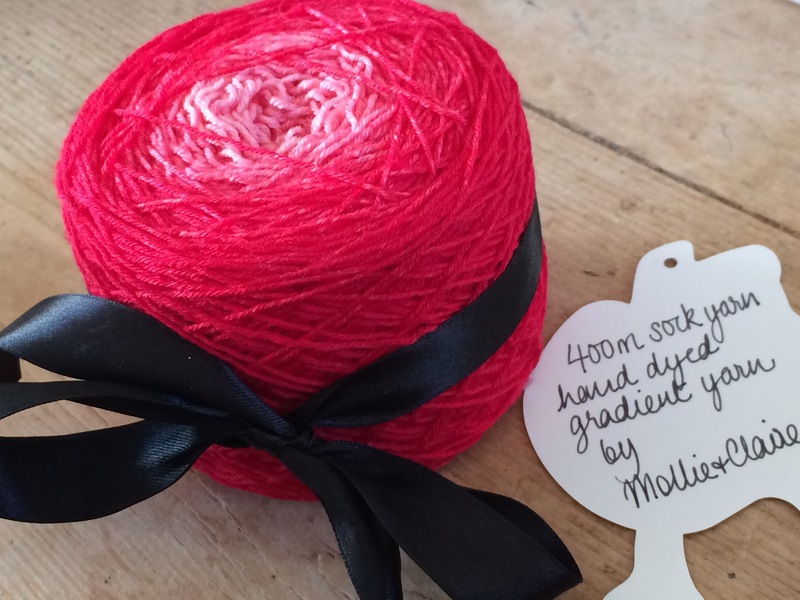 It’s utterly gorgeous – 400m of sock yarn in the perfect shade of pink, which may become a shawl or socks. 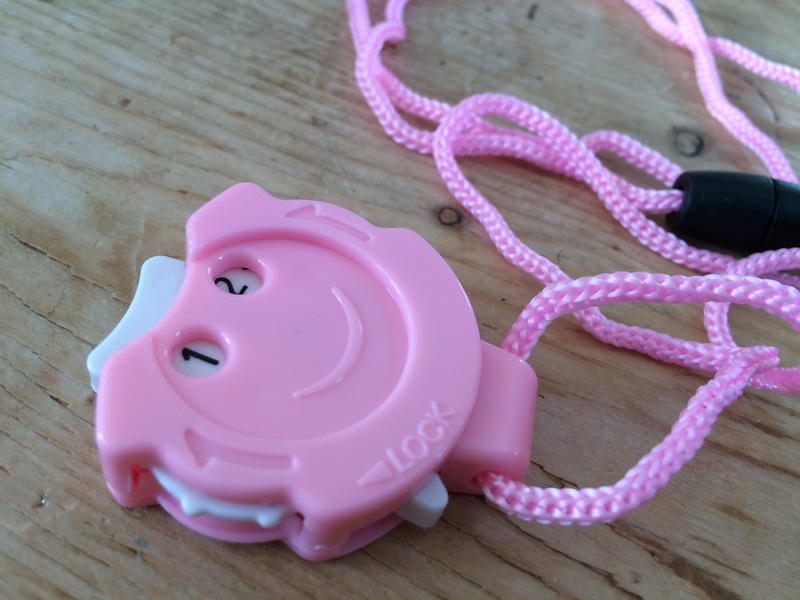 I’ll take my time deciding what to make with it as I want to make sure it gets plenty of use. 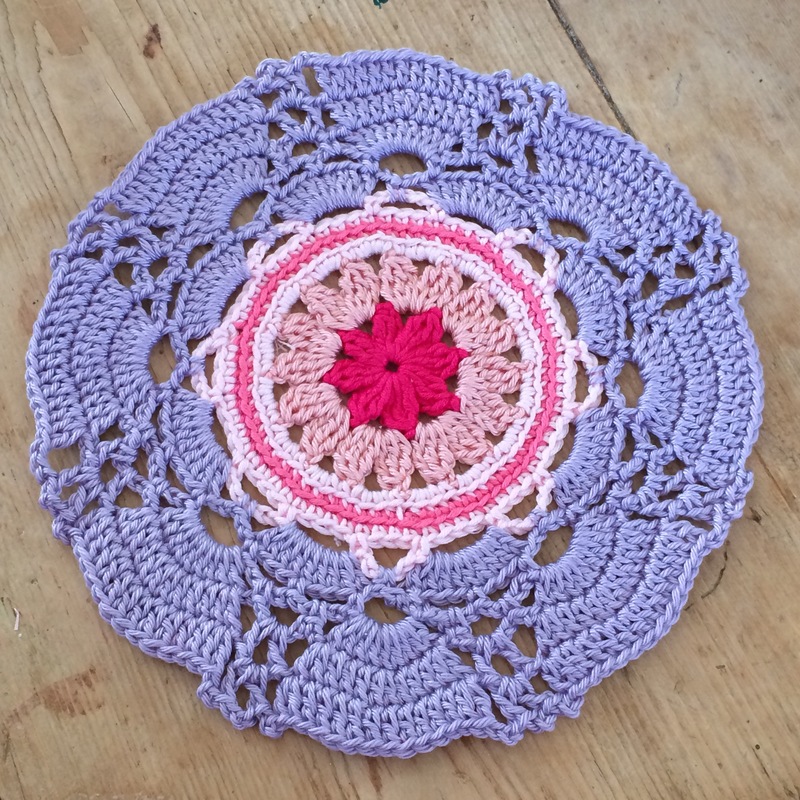 More handmade items were revealed in subsequent presents – one of Claire’s many Mandala creations is far too pretty to be used as a mat of any kind and is destined for the wall in my studio so I can enjoy it every day. 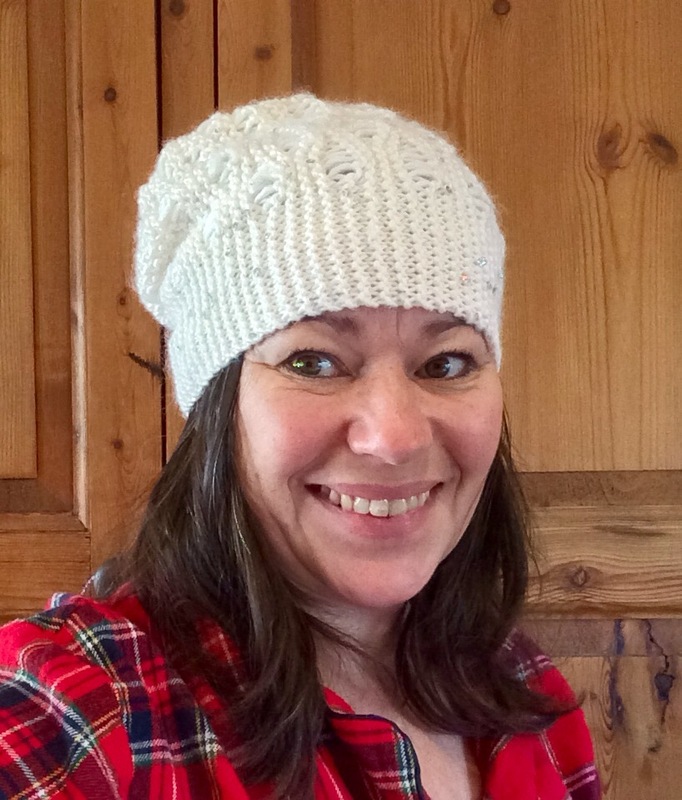 I love this slouchy beanie hat and couldn’t wait to model it, so here it is whilst I’m in my PJs! 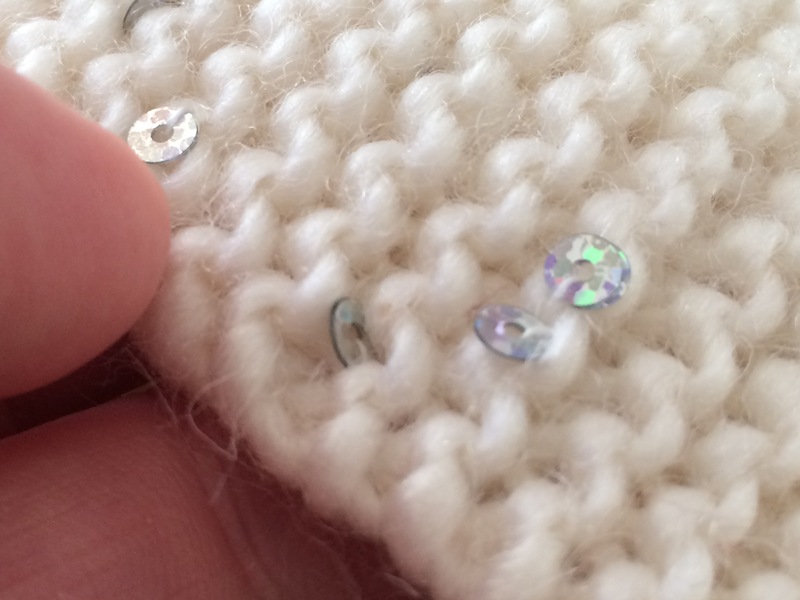 It sparkles with silver sequins – here’s a close up. 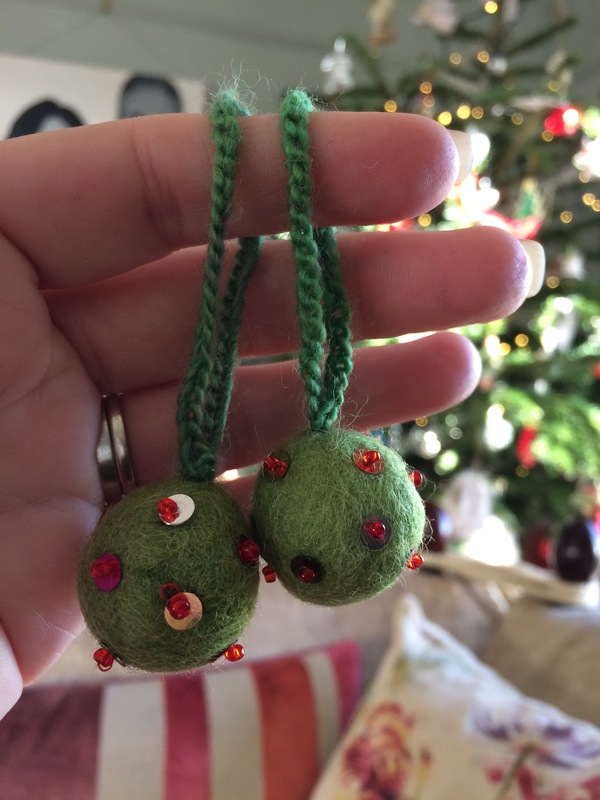 Two little felted baubles with yet more sequins! 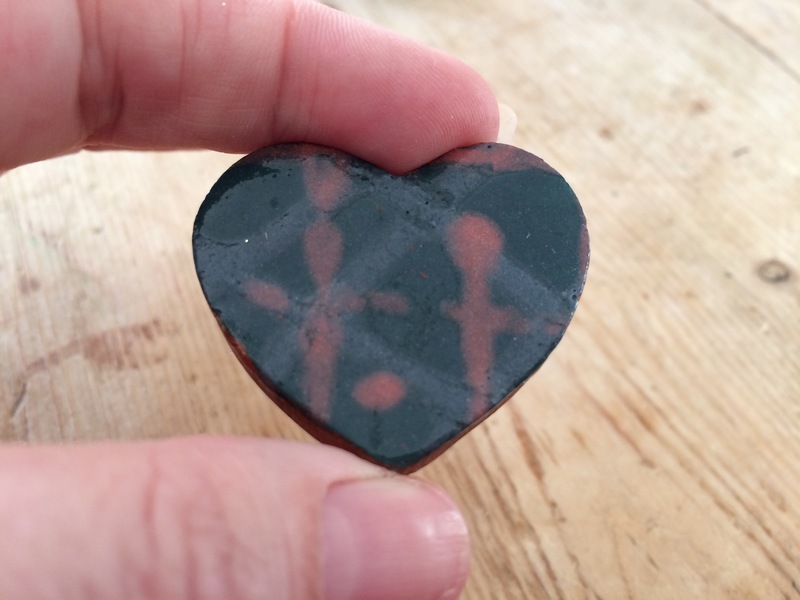 What about this ceramic heart brooch? How sweet? I can’t tell you how bloomin’ useful this stitch counter is going to be. I’ve got two of the kind that go on your needles but, as I’ve invariably got more than a few knitting/crochet projects on the go at any one time, it will save me swapping between needles. 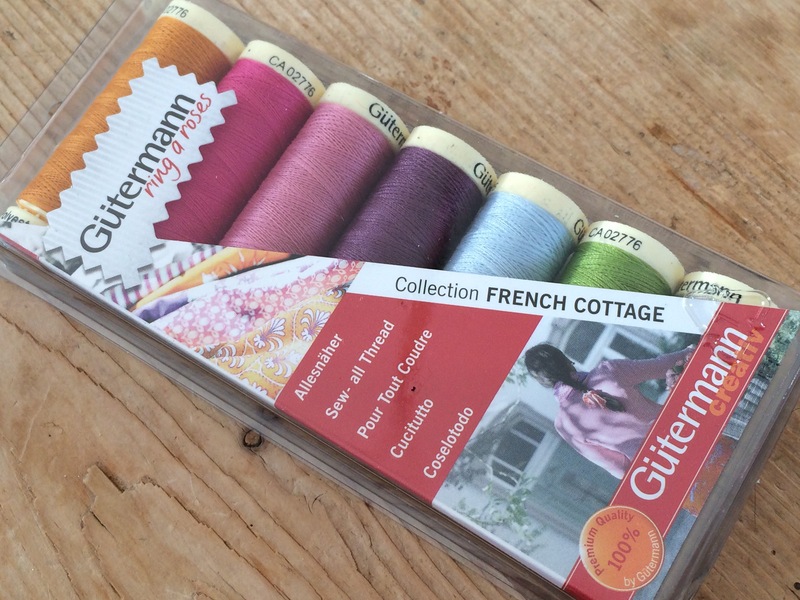 Claire also threw in some sewing related gifts – anyone who sews will appreciate the quality of these threads. 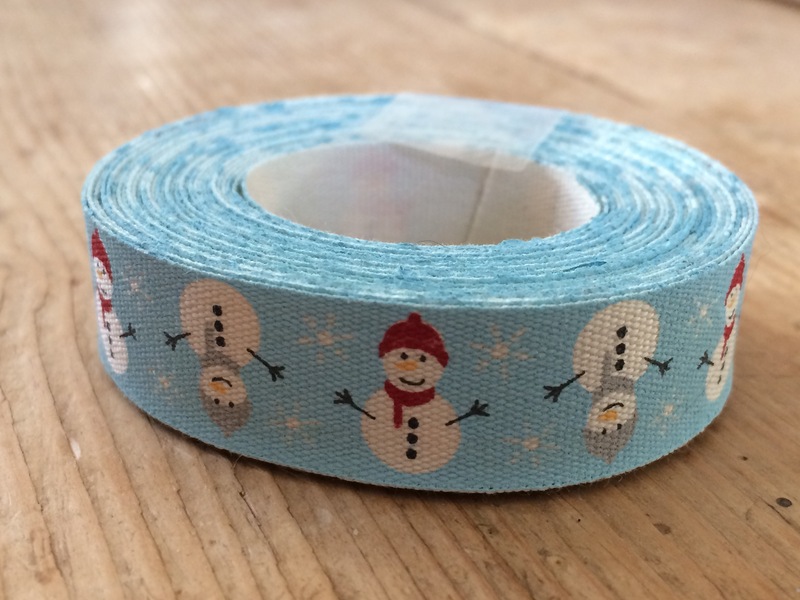 I love the snowman ribbon!!!! 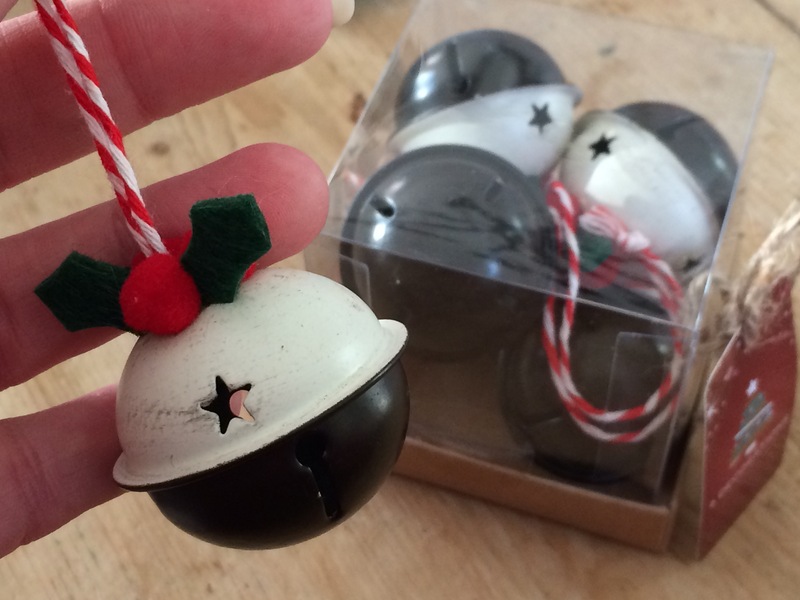 A pack of Christmas pud decorations for the tree next year. 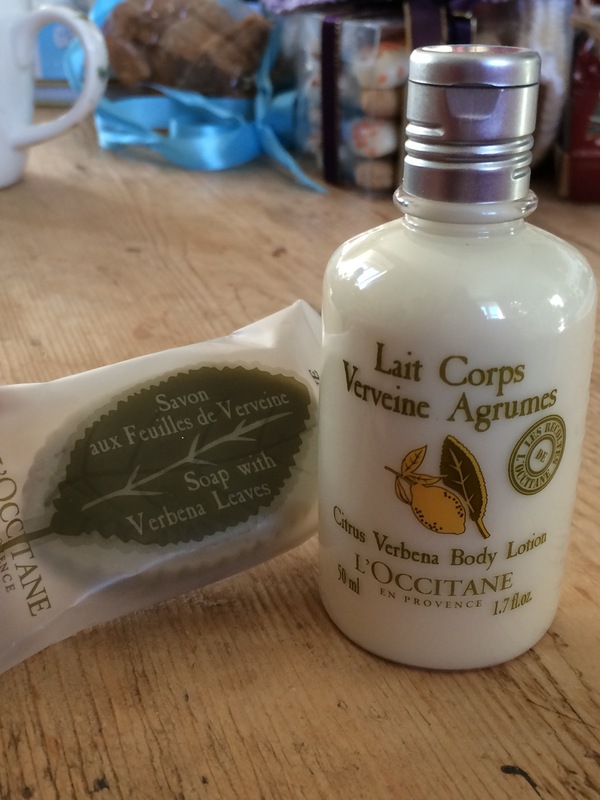 Some pampering treats which smell divine – when are they going to invent scratch ‘n’ sniff for the internet?! Now this really is lovely and will be used every day until it’s all gone. 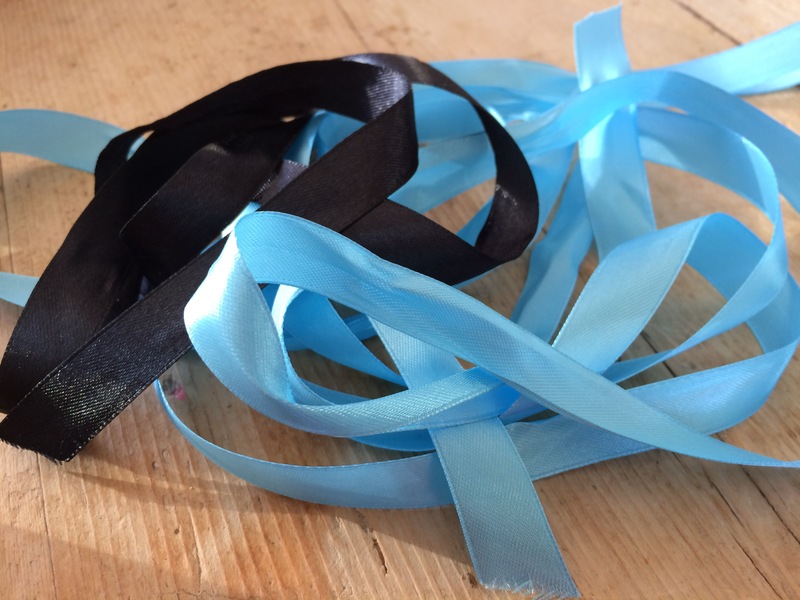 I even rescued all the satin ribbon, which was beautifully tied around several of the gifts, for future use. 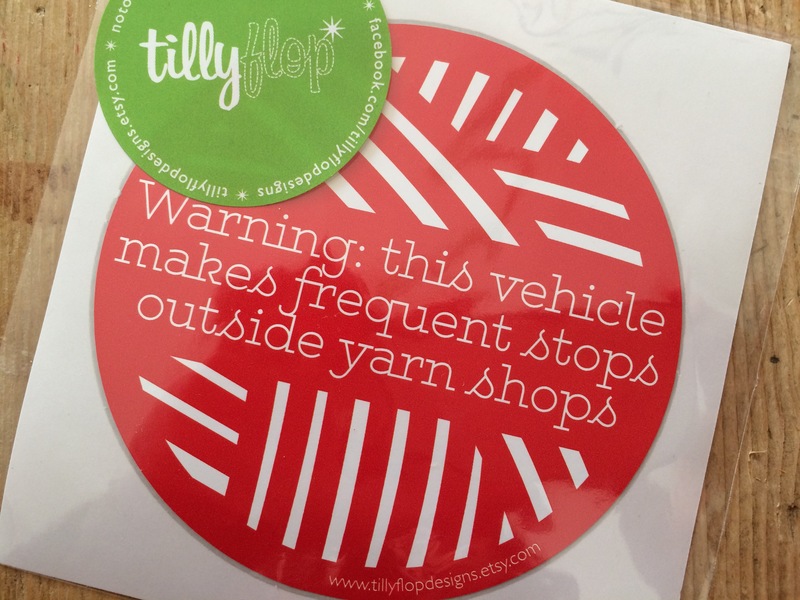 Finally, this car decal made me smile – how true are those words?! 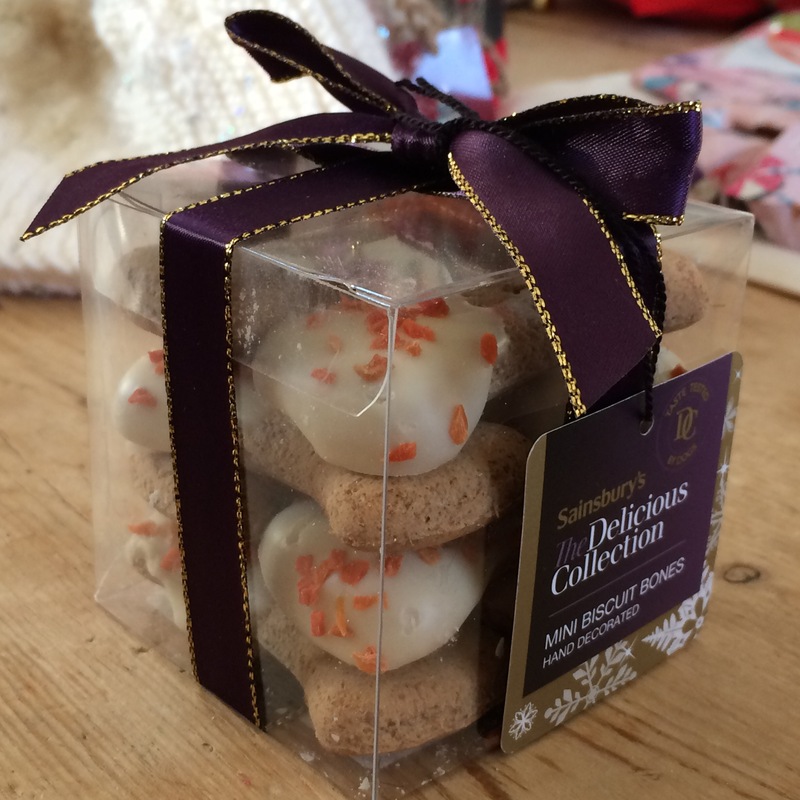 Thanks so much Claire – I feel thoroughly spoiled! Categories: Knitting | Tags: #stitchingsanta, crochet, dyed, hand, knitting, reveal, santa, stitching, swap, yarn | Permalink.